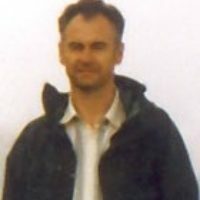 Tom Chrystal was born in Huntly, north-east Scotland, and began walking in the eastern Grampians of his native Aberdeenshire. After leaving school he became a military bandsman, spending a year at the Royal Military School of Music. A career in the civil service followed with precious holidays spent walking in the Pyrenees. He took a year off work to visit mountain ranges in Alaska, Canada and Tasmania and went on to study social anthropology at the London School of Economics. Tom has walked in over 30 mountain and upland areas in 15 countries.